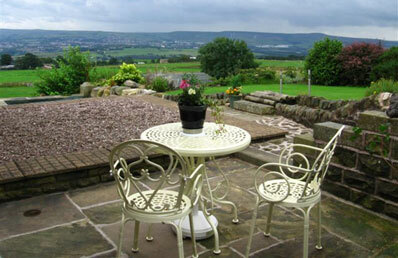 This Cottage is situated on the ground floor and is accessible by the less mobile. The lounge has a cosy cottage feel with fireside chairs and footstools, and additional upholstered window seating. There is a fully working Yorkist Range. The TV has a built in DVD player. The open plan dining area leads to a fully fitted kitchen. The bedroom has twin beds and built in wardrobes and there is a fully tiled en-suite shower room. The Cottage has central heating. Bed linen and towels are provided. Rates from £350 to £380 per week available all year. The cottage is non smoking and no pets are allowed (assistance animals accepted). Ample off road parking.